Just under two months ago, the Food and Drug Administration began recalling hip implants manufactured by DePuy Orthopedics, citing complaints it has received for more than two years about unusually high (and quick) failure rates of the implants requiring additional surgeries. Over and above faulty hip implants, the F.D.A. accused DePuy of marketing an unapproved knee device and selling hip implants for purposes not approved by the agency. Since the recall, more patients have stepped forward claiming injuries associated with DePuy hip implants, particularly the ASR XL and ASR Hip Resurfacing metal-on-metal models. The danger is that friction could send harmful metal shards into the blood stream and local tissue. 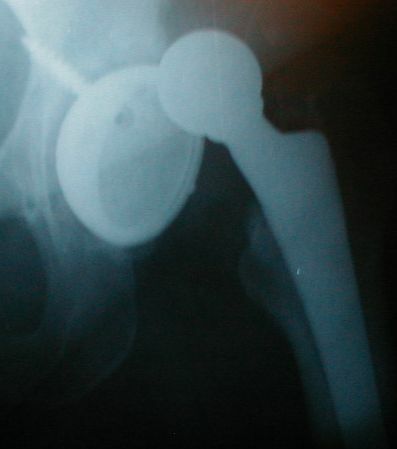 About 40,000 DePuy hip implants were installed between the F.D.A.’s approval of the devices in 2005, and the recall in August of this year. Of those, about 13% of patients implanted with the recalled models reported hip failures within five years of the surgery, a clear failing record. More than 100 lawsuits have already been filed on the state and federal level, reports the San Francisco Daily Journal, with personal injury lawyers expecting the total to expand to more than 4,000 lawsuits against DePuy and Johnson & Johnson. Based on a similar hip implant lawsuit settled in 2002, some attorneys expect these cases could be worth at least $5 billion. Preliminary discussions have indicated that San Francisco is on the short list of potential centers for the pending state and federal lawsuits. We will keep you updated with more information as it arises.